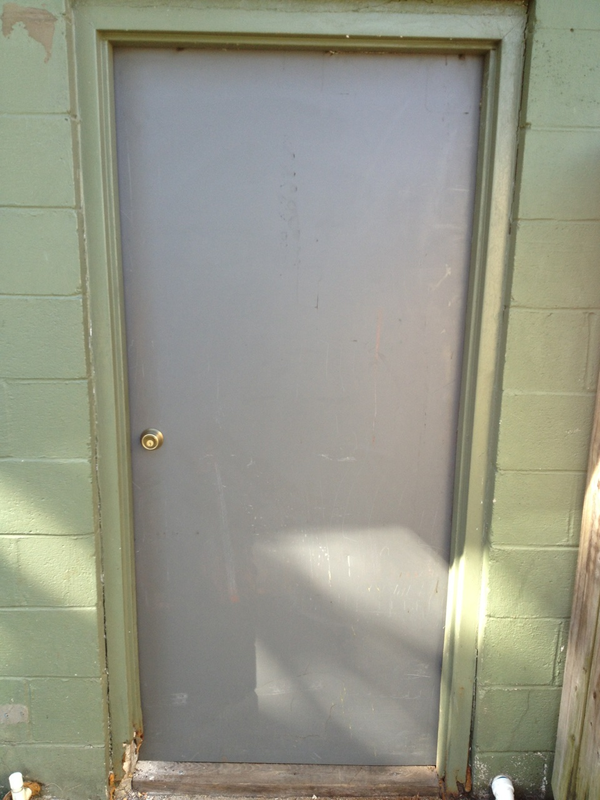 The first picture is of the rear door at Odom’s Bar. The second two pictures are of the same door, but from the inside. When looking at the door from the outside, it’s a little misleading. The second two pictures are really what you have on the inside. There are two barrel/ slide locks at the top and bottom. They should not be a problem since they are small screws that are screwed into the inner side of the door and door frame. It doesn’t appear the key lock will be that hard to force, but the big one. The 2×4 drop bar which is located at the middle of the door. 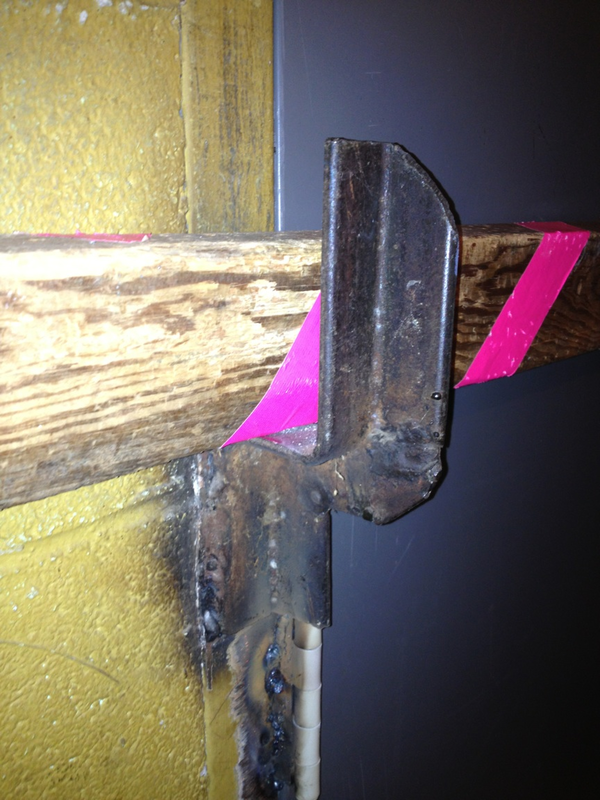 The hanger is welded on the inside of the door frame. There is not a hanger mounted on the door. Knowing how this door is fortified, would prepare you for the entry. However since there are not any bolt heads on the outside of the door, you would not anticipate the additional security measures. Hope you get to use this. 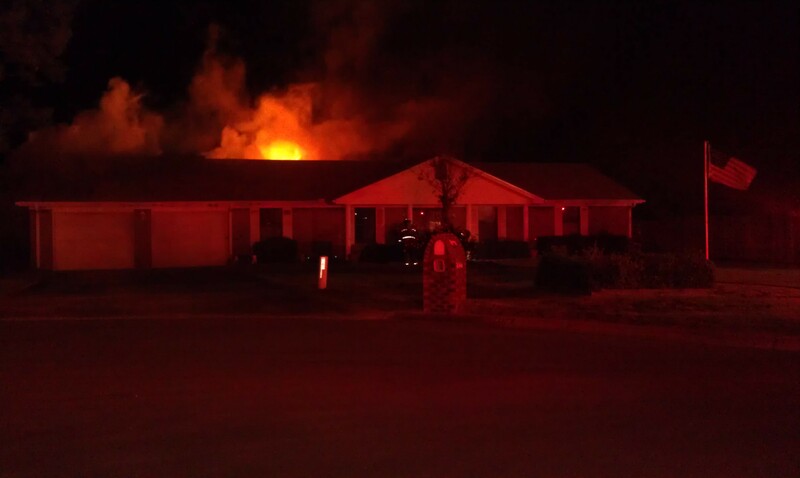 This was submitted by Engine 519 of Escambia County FIre Rescue. Just an Easy key and knob lock. Don’t under estimate any door. We have seen storm doors give a brother a challenge. Take any and all doors serious. A view from the inside. Not a real BIG DEAL, if you have a REAL SET of Irons and have trained properly. HAVE YOU TRAINED? Do you have a REAL SET of IRONS? Are you up for the Challenge? 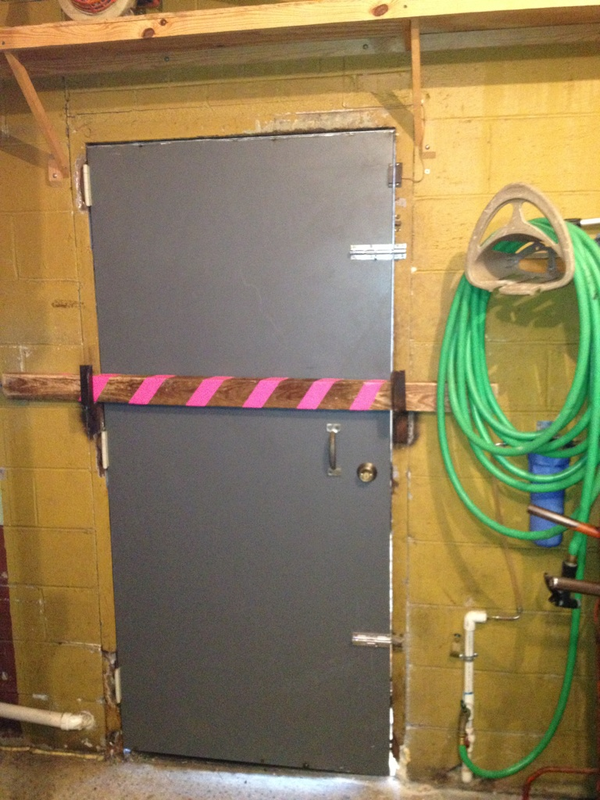 What if a Firefighter was trapped behind this SIMPLE DOOR? 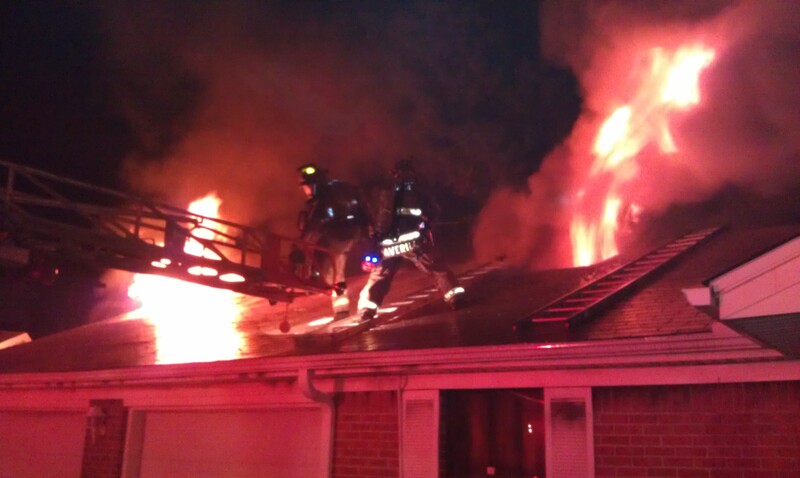 Before the LDH was the main supply line, we used 2.5 and 3inch hose for supply. Most fire departments laid in or out and allmost always applied the clamp. Now with LDH the primary supply line in the American Fire Service, we just about in some places forgot about the clamp. The clamp is just as important today, as it was twenty or thirty years ago. The clamp keeps photos of your supply bed charged on FB. The clamp allows your driver to do other things and first utilize tank water. 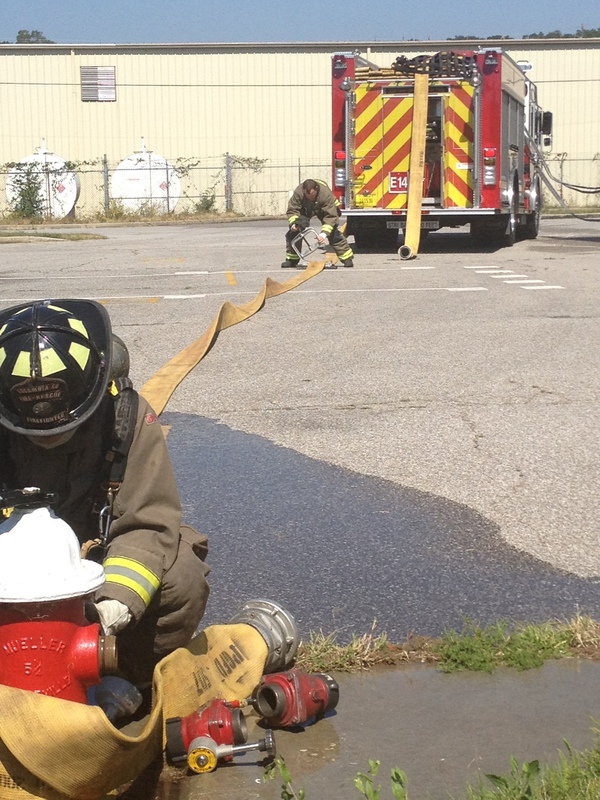 The clamp allows the hydrant firefighter to send water/charge the hydrant and then advance down to the scene. Once at the scene this is an additional firefighter that may assist the driver with final hook ups and release the clamp. So many times when the clamp is not applied, the hydrant firefighter is waiting to charge and delaying this firefighter from advancing down to the scene. An additional note is that it sometimes takes two firefighters to break loose the LDH storz and the driver is all alone. If they were to clamp and allow hydrant firefighter to charge and move down; this would give the driver an additional firefighter to assist with the disconnect of the LDH storz. So why not use the LDH CLAMP? Have you trained on it? Do you know where it is? Do you clamp everytime? Has your FD ever charged the supply bed? Cutting the Truss Roof.. Should We? Getting on and Venting a TRUSS Constructed roof is a big question? Can it be productive? Can we minimize the risk? What tools are the minimum? What are some considerations? 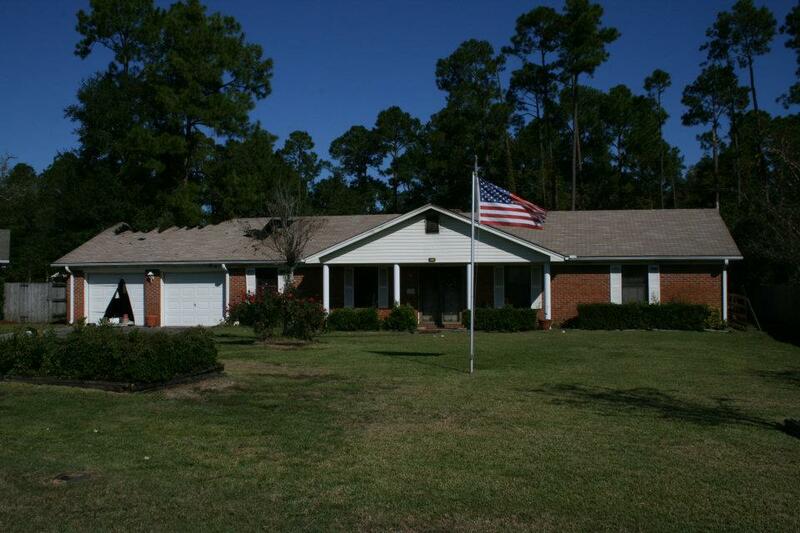 Does your FD VENT TRUSS ROOFS? Look at all photos above. Do you think they made a difference by venting the roof?